Heavy duty reinforced elliptical aluminium football goals. Uprights and crossbars are manufactured from 100mm x 110mm. Corners are fully welded with heavy duty internal corner joints. White powder coated finish. Supplied with lock-on nylon safety net hooks and 457mm long ground sockets. 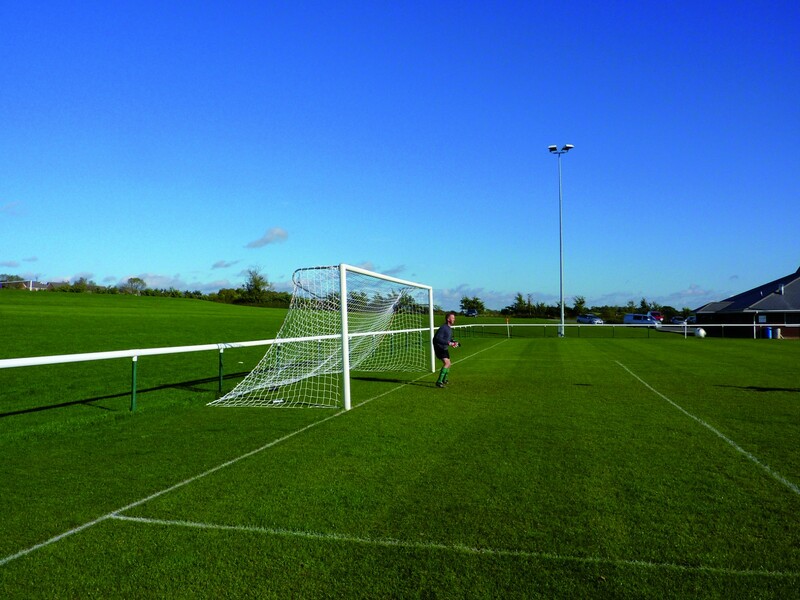 These goals have continental net supports and 3mm white football nets. Junior Size: 6.40m x 2.13m.